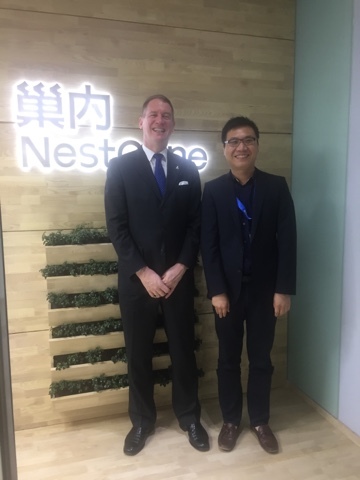 Last week I had the privilege of meeting Zhang Zheng who is the visionary founder and boss of NestGene. NestGene is a business that helps people in China become parents. Quite simply, the quality of IVF services in China is highly variable from very good to not so good and the primary work that NestGene does is to help infertile Chinese couples undertake IVF in China. For gay couples and single men in China, however, relief isn’t there. This is because whilst surrogacy occurs underground in China, it is against the code of practice of doctors to engage in surrogacy. Therefore, for single men and gay couples who want to become parents through surrogacy and to do so in an open, transparent and legal way, they need to undertake surrogacy elsewhere, for example, in the United States. NestGene helps these intended parents as well as many heterosexual couples, undertake surrogacy. Given the rapid growth seen in the last couple of years with the number of Chinese intended parents undertaking surrogacy in the US, it is likely that these numbers will greatly increase – with the increased prosperity in China and in particular the rise of the middle class and the knowledge that no longer do those who want to become parents have to suffer in silence but can instead do something about it. It was a wonderful meeting with Zhang, and I hope that next time I will be able to spend more time with him!